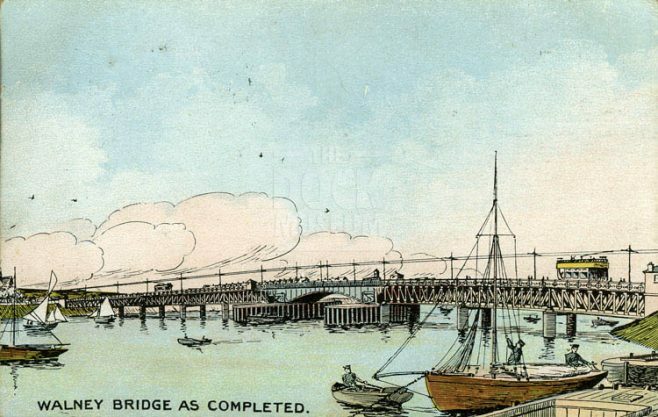 Colour postcard, with “Walney Bridge as Completed” printed on it. It was sent on 17 June 1907. The drawing is by William McDowell.